The Chinese smartphone manufacturer Xiaomi’s upcoming budget model which is known as Mi 5c was code-named Meri, was expected to feature company’s own home grown processor known as Pinecone and according to the reports, the handset might be launched on this month. After nine months with the current flagship in the smartphone market, now it is the time to think about the next generation of Xiaomi Mi5. 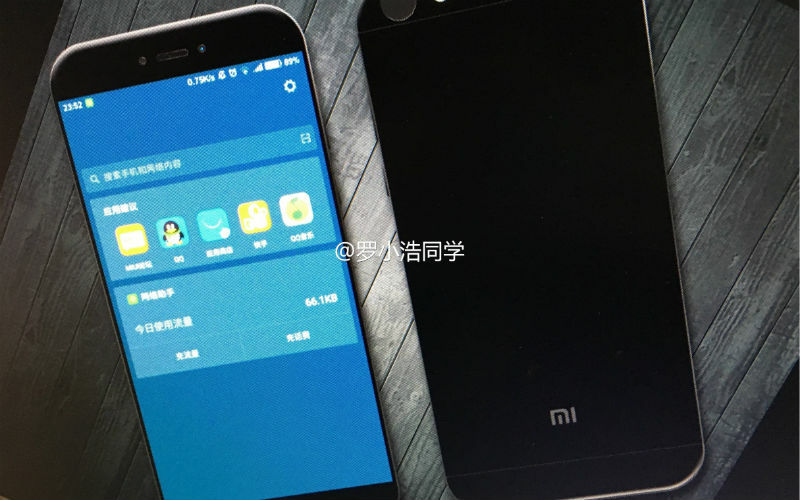 The first candidate is the Xiaomi MI6, a novelty that may come early next year. 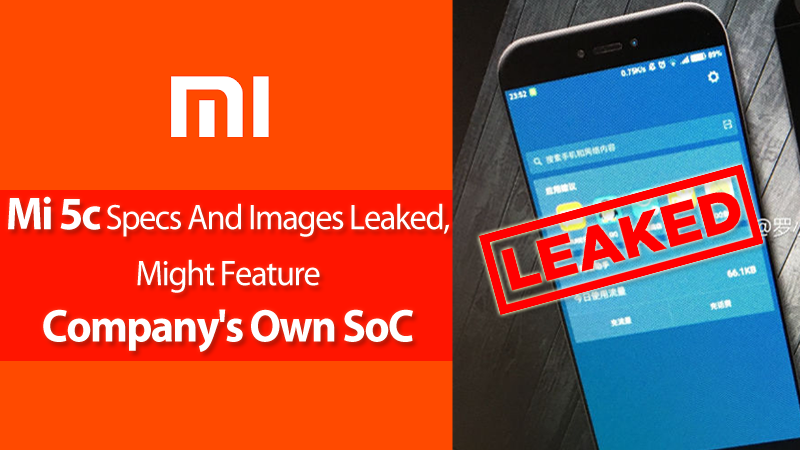 However, there are many data that cross these images have also been identified that would simply be a renewal in the form of Xiaomi Mi 5c. 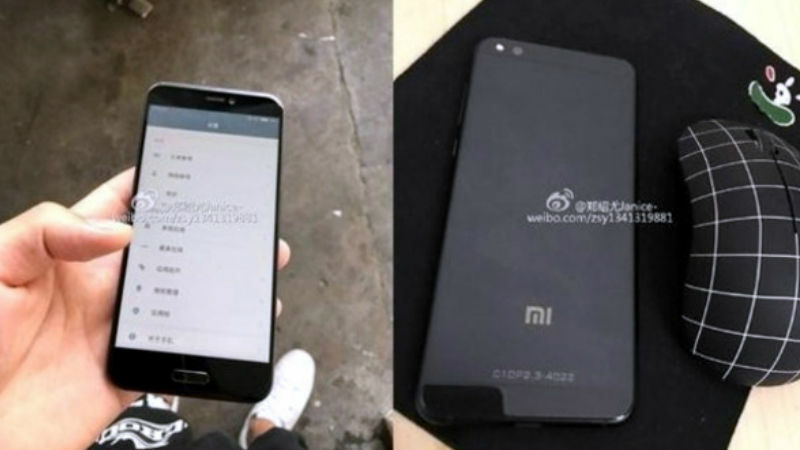 The Xiaomi Meri aka Mi 5c has been leaked on various time and is tipped to be the first smartphone from the Chinese smartphone manufacturer to sport an in-house processor. Yes, an in-house processor. But, now in fresh leaks, the smartphone has been found on the internet before its official release which simply indicating at its expected entry. According to a poster of the device that was shared by KJuma on his Weibo account, the smartphone is priced at CNY 999 (approx Rs. 9,890). Not only that, even this smartphone will be (possibly) the cheapest smartphone in the series, which also makes it half the price of the Mi 5 which was launched in India for just Rs 24,999. The real images of the Xiaomi Mi 5c were actually spotted on Weiboand they pretty much address the same tale as previous leaks. However, if we talk about the design then the device itself sports a sleek frame with coiled edges along with a fingerprint scanner which is housed under the Home Button at the front. The device will come with 2.5D glass on top of the display. Both the volume and power buttons are housed on the right edge along with the camera and flash which were housed at the back on the top right edge of the device. Now you all might be thinking ‘what about the specs ? right, Xiaomi Mi 5c is expected to come in Rose Gold, Gold, and Black colour variants. The device will be powered by a ‘4+4’ A53 architecture, with cores running at 1.4GHz octa-core processor featuring 3GB RAM, ARM Mali-T860 GPU and 64GB of onboard storage. It will also feature a 5.5-inch full-HD display with 403PPI pixel density and 12MP primary camera along with an 8MP front shooter. It is also expected that the smartphone will run on Android 6.0 Marshmallow which will be based on MIUI 8 out of the box, even this device will also support NFC-based payments. Not only that as an another set of the report claims that the Xiaomi Mi 5c will have its own Pinecone SoC, as we already hinted earlier in the post. Moreover, if we talk about the launch date then it is largely expected to launch at an event in China on November 30.